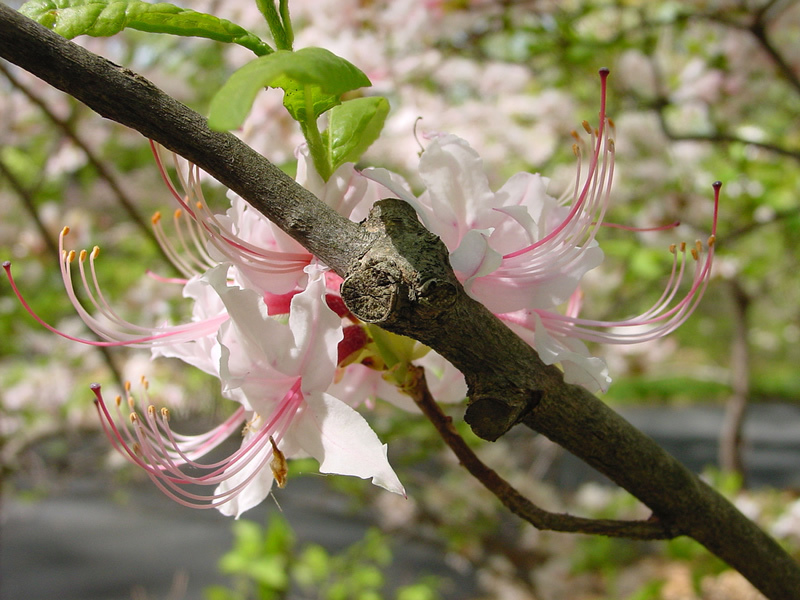 The pinxterbloom azalea is a native, deciduous azalea that occurs naturally here at the Arboretum. These shrubs spread via underground stems and can grow to be 8-10 feet tall. They are extremely adaptable, growing in partial to full shade and in a variety of soil conditions from dry, sandy soils to moist stream banks. The pinxterbloom is most attractive in the spring, when it is adorned with trusses of 6-12 narrow, fragrant, white to pink flowers. 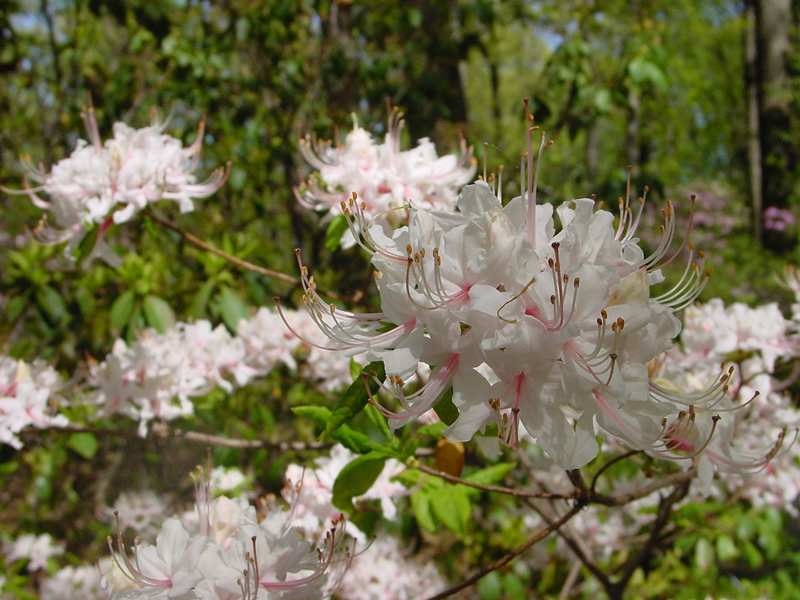 To see the Arboretum’s collection of pinxterbloom azaleas, follow the Woodland Walk in early May when they are at their peak.